as long as vinyl continues its uprising, there will be stories like this one, and i never get tired of them! Ben Curtis, 15, works at Tri-City Trading Post in Fenton, and is in 10th grade at Fenton High School. He skipped cassettes, vinyl, and even mostly CDs in purchasing his music. He downloads everything onto his iPod, and said he has more than 1,200 songs stored in the pocket-sized device. When Michael Absher of Flint had his entire vinyl collection, the untold amount took up half of a room. As a DJ, he has used cassettes, vinyl, CDs and now, downloaded music. But a shifting tide in vinyl records might bring these two generations together. 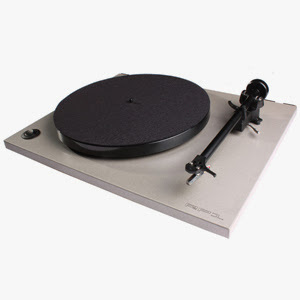 Whether buying or selling, vinyl is moving in 2012, with bands pressing the 180-gram records hoping to tap into a very niche market, and resale shops are ramping up their vinyl sales. Ben's mom, Michelle Curtis, owner of Tri-City Trading Post is one rare individual who enjoys the sound of an antique Victrola record player. This is the one with the horn sticking out of it. "It's very grainy," she said. "I like it." She has dedicated vinyl fans that come into her store, but she doesn't have many herself. She has also seen a resurgence in records being sold to her store, something she credits with the economic climate. "It makes me feel bad, it's something they've passed down from their parents," she said. 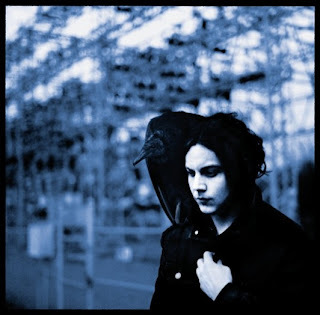 Jack White has recently revealed the tracklist and album cover art for his upcoming debut solo album 'Blunderbuss.' The 13-track album will be released in April via his label Third Man Records. Finnish rockers Ghost Brigade are set to release a collector's edition 7" vinyl single on Record Store Day on April 21st via Season of Mist . "The remix for 'In the Woods' turns out to be a fantastic electronic revisiting in the shape of a dark atmospheric Trip Hop experience. This version was created by Jonny Wanha, who recently won a stunning second place in the famous DJ Shadow remix competition. As a tasty bonus for their fans, the B side is a previously unreleased acoustic version of 'Soulcarvers.'" Art-pop outfit Mystery Jets are set to release their new album ‘Radlands’ via Rough Trade in April, with all vinyl versions of the LP including an illustrated comic by British artist Glenn Fabry. Says singer Blaine Harrison: “We’ve always wanted to make a record in America and after touring ‘Serotonin’ the time felt perfect to go and do it. Our first three albums were entirely conceived and recorded in London so going out to Austin felt like the furthest place from everything we knew”. French power metallers NIGHTMARE have unveiled the cover artwork for their new album, "The Burden Of God" (formerly "Mercury Rain"), to be released on May 18 through AFM Records. The CD was recorded at the Peek studios in the south of France with producer Patrick Liotard. 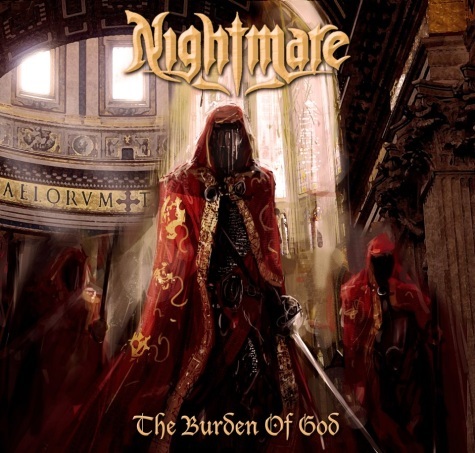 Commented NIGHTMARE singer Jo Amore: "We entered the studio on Friday [January] 13th, which is surely a sign for such an album that will be the most accomplished of our whole career. 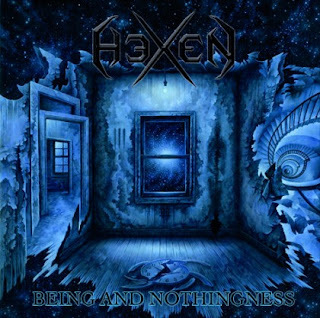 Los Angeles thrashers HeXeN are scheduled to release their second album, 'Being And Nothingness' via Pulverised Records. Recorded, mixed, and mastered at Vivid Tone Recording Studio by producer Rich Bruce, the sonic onslaught sees the band moving toward a far more comprehensive and thorough voyage of metal musicality and further distancing themselves from being just another run-of-the-mill revival band. Zulu Winter are to release their debut album 'Language' on the May 14th through Play It Again Sam. Produced by Tom Morris at 4AD’s studio in Wandsworth and Miloco Pool Studio, South London and mixed by Claudius Mittendorfer in New York, 'Language' is set to be released through PIAS in CD, vinyl and download formats. 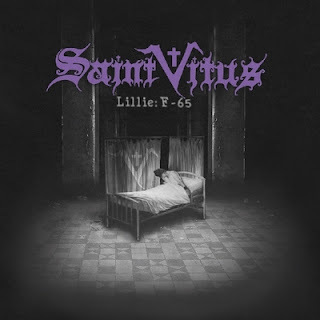 The long-awaited new album from US doom vets SAINT VITUS, called 'Lillie: F-65,' is set for release on April 27th in Europe via Candlelight Records (a North Ameican release date will be coming soon). The band also will release a 7" single for the song 'Blessed Night', a song from Lillie: F-65. The B-side is a live version of classic Saint Vitus tune, 'Look Behind You', recorded in December 2010 at Z7 in Pratteln, Switzerland. Peel's record collection included over 25,000 LPs, 40,000 singles and thousands of CDs. It has been revealed that the Arts Council and the BBC plan to make John Peel's record collection into an interactive, online museum. Peel's record collection included over 25,000 LPs, 40,000 singles and thousands of CDs which will become part of 'The Space'; a new digital service, which will run from May to October across various platforms including PCs and smartphones. It also looks set to be available as a red button on-demand service via Freeview HD. Direcor of the John Peel Centre for Creative Arts, Tom Barker, said: "It is the first step in creating an interactive online museum with access to the entire collection, one of the most important archives in modern music history." Frank Prendergast of Eye Film And Television commented: "The idea is to digitally recreate John’s home studio and record collection, which users will be able to interact with and contribute to, while viewing Peel’s personal notes, archive performances and new filmed interviews with musicians." The Space hopes to be launched later this year. Local Guitar virtuoso Guy Buttery has explained his reasons for releasing To Disappear in Place on vinyl, despite the risk of diminished sales. Speaking to Times Live, the SAMA winning songwriter said his desire to release an album exclusively on vinyl stems from a childhood obsession with LP’s. “The inspiration for releasing an album exclusively on vinyl goes back to an obsession I had with collecting LPs from as young as 14 years old. It was eventually long-time friend Steve Hawes from Erased Records who actually manifested the project for me,” he said. The global music industry is facing uncertain times, with the challenges of piracy and the instant distribution of media enabled by the Internet forcing artists to approach the sordid business of sales and marketing from a new angle. “I think we all know that CD sales have slumped pretty low in recent times. In fact music sales are down 80% worldwide. I think the phrase “sound business decision” maybe an over-statement but it surely is another way to get the fans to hear the music,” said the revered guitarist. In reality, Buttery seems more intent on communicating his musical vision than maximising his returns. “In my case by ‘going vinyl’ in South Africa, I’ve probably marginalised myself even further into the darkest corners of all that is niche, but I’ve had a great time doing it,” he said. 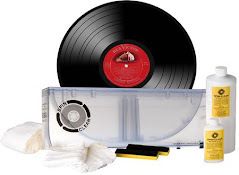 According to Buttery, there is still a niche market for vinyl records, as fans react against the digital era and its lack of tangible products. Emerson, Lake & Palmer have signed with Razor & Tie Records to administrate their extensive catalog. The company will re-issue the group's albums with the album The Best of Emerson, Lake & Palmer: Come & See the Show already available in both digital and physical formats. A full catalogue re-issue campaign will kick off later this year with the release of newly expanded, re-mastered, editions of the band's first six albums: Emerson, Lake and Palmer (1970), Tarkus (1971), Pictures At An Art Exhibition (1971), Trilogy (1972), Brain Salad Surgery (1973), and Welcome Back My Friends To The Show That Never Ends – Ladies & Gentlemen (1974). 2. Amos Lee - As The Crow Flies 10"
4. Alabama Shakes - Live At Third Man 7"
6. The Shins - Simple Song 7"
7. Jack White - Love Interruption 7"
11. The Dirtbombs / Fucked Up - Bruise Cruise split 7"
14. King Khan & The Shrines / Mikal Cronin - Bruise Cruise split 7"
17. Thee Oh Sees / Quintron & Miss Pussycat - Bruise Cruise split 7"
21. Andrew Bird - Crown Salesman 7"
22. The Civil Wars - Tracks In The Snow 10"
24. Bad Sports - Red Overlay 7"
25. Neil Hamburger - Bruise Cruise 7"
Three iconic rock and roll vets are coming together for The Midwest Rock ’N Roll Express tour this spring and summer. Styx, REO Speedwagon and Ted Nugent will all share the stage as the tour winds its way around the United States. In 1940, folksinger/songwriter Woody Guthrie wrote "This Land Is Your Land." In 1957, Tab Hunter had the top tune on the UK chart with "Young Love" for the first of a three week run. In 1963, Ruby And The Romantics' "Our Day Will Come" enters the Billboard charts. It will hit #1 on both the Pop and R&B list in March and will be the group's biggest hit. Also in 1963, the Chiffons' "He's So Fine" enters the Hot 100. The song had been rejected by ten different record companies before Laurie Records decided to take a chance on it. By the end of March, it will top both the Billboard Pop and R&B charts and reach #16 in the UK. In 1964, the Beatles appear on the Ed Sullivan Show for the third consecutive week. The taped segment showed The Fab Four performing "Twist and Shout", "Please Please Me" and "I Want To Hold Your Hand". Sullivan tells his audience that the group are "fine professional singers." In 1965, filming began on the Beatles follow-up to A Hard Day’s Night on location in the Bahamas with the working title of Eight Arms to Hold You. The movie would later be titled Help! In 1967, Englebert Humperdinck's, "Release Me" sat atop the UK record chart, preventing "Penny Lane" / "Strawberry Fields Forever" from becoming The Beatles' 12th number one hit. Also in 1967, at EMI's Abbey Road Studios in London, the Beatles began recording the Paul McCartney composition "Lovely Rita" for the "Sgt. Pepper's Lonely Hearts Club Band" album. The unusual noises after the line "and the bag across her shoulder made her look a little like a military man" were made by John Lennon, Paul McCartney, and George Harrison playing comb and paper. The track was completed on March 21. In 1968, the Association had their final Top 10 hit in the US when "Everything That Touches You" made it to number ten. 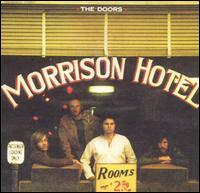 In 1970, the Doors' LP "Morrison Hotel" becomes the group's fifth album in a row to go Gold. Even though it contained no hit singles, the disc climbed to #4 on the Hot 200 chart and #12 in the UK. Also in 1970, the first public presentation of the Juno Awards took place in Toronto, named for CRTC Chairman and later CBC/SRC President Pierre Juneau. The Guess Who won for Best Group. The awards had existed since 1964 under the name the RPM Gold Leaf Awards, which were established by Walt Grealis, editor and publisher of RPM magazine. In 1972, after nearly five years of marriage, Priscilla Presley moves out of Elvis' California home and into a two bedroom apartment near the Pacific Ocean. Their divorce would be finalized on October 9, 1973, with Priscilla being awarded an outright cash payment of $725,000 as well as spousal support, child support, 5% of Elvis' new publishing companies and half the income from the sale of their Beverly Hills home. In 1978, the Police signed a recording contract with the A&M label. 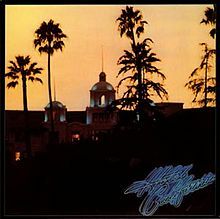 In 1978, at the 20th annual Grammy awards The Eagles win Record of the Year for "Hotel California" and Best Arrangement for Voices for "New Kid in Town". Fleetwood Mac win Album of the Year for "Rumors". Song of the Year was tied between "Love Theme from A Star is Born" by Paul Williams And Barbra Streisand and Joe Brooks' "You Light Up My Life." In 1979, on the strength of their hit, "Sultans Of Swing", England's Dire Straits kick off their first US tour, selling out every one of their 51 scheduled shows. In 1980, Queen had Billboard's top tune with "Crazy Little Thing Called Love", a song that Freddie Mercury later revealed, came to him while he was taking a bath. In 1983, a collection of former studio musicians who call themselves Toto win Album Of The Year for "Toto IV" and Record Of The Year for "Rosanna", at the 25th Grammy Awards. Willie Nelson's "Always On My Mind" wins Song Of The Year and Marvin Gaye takes home his first two statues when "Sexual Healing" is named Best R&B Performance and Best R&B Instrumental Performance. In 1985, the L.A. quartet Autograph enter the Billboard Hot 100 with "Turn Up The Radio", which will peak at #39. The single, taken from their Platinum selling album "Sign In Please", was later featured in an episode of Miami Vice and numerous other films. 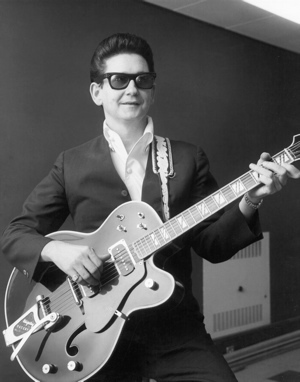 In 1989, Roy Orbison's voice was heard on two of the top albums in the US, two months after his death. His solo album, "Mystery Girl" featured the hit "You Got It" and The Traveling Wilburys first album contained "Handle With Care" and "End of the Line". In 1995, original Temptations singer Melvin Franklin died after suffering a seizure. He was 52. In 1997, jazz drummer Tony Williams, who worked with Miles Davis for many years, died after a heart attack at the age of 51. In 1999, keyboardist/songwriter (Boogie Oogie Oogie) Perry Kibble, formerly of the group A Taste of Honey, died of heart failure at the age of 49. In 2000, at the Grammy Awards, Santana ties Michael Jackson's record of eight Grammys in one night, including ones for Album of the Year and Record of the Year for "Supernatural". The single "Smooth" wins Song of the Year. Sting wins Best Pop Album for "Brand New Day", Phil Collins wins Best Soundtrack for "Tarzan" and Jimi Hendrix wins his first Grammy for Best Long Form Music Video for "Band of Gypsys - Live at Fillmore East". Elton John is honored with the Living Legend Award. In 2002, the Bee Gees made their final concert appearance when they performed at the Love and Hope Ball in Miami Beach, Florida. In 2003, Paul Simon and Art Garfunkel sang together for the first time in ten years as they receive a Grammy Award for Lifetime Achievement. Also in 2003, Norah Jones cleaned up at the 45th Grammy Awards, held at Madison Square Garden, New York. The singer, songwriter won, Album of the year and Record of the year, with 'Don't Know Why.' Song of the year, Best new artist and Best female pop vocal for 'Don't Know Why'. Other winners included Best male pop vocal, John Mayer, 'Our Body Is A Wonderland'. Best male rock vocal, Bruce Springsteen, 'The Rising', Best female rock vocal, Sheryl Crow, 'Steve McQueen', Best rock performance by group, Coldplay, 'In My Place', Best rap album, Eminem, 'The Eminem Show'. In 2003, Howie Epstein, bassist with Tom Petty and the Heartbreakers, died of a suspected drug overdose in New Mexico. He had replaced the Heartbreakers’ original bassist Ron Blair. Epstein also worked with Bob Dylan, Johnny Cash, John Prine, Stevie Nicks, Roy Orbison, Carl Perkins, Linda Ronstadt and Del Shannon. In 2007, Donnie Brooks, who sang the 1960 Billboard Top 40 hits "Mission Bell" and "Doll House", died of congestive heart failure. He was 71. 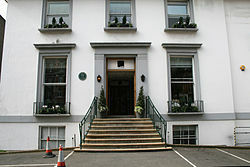 In 2010, a week after EMI Records announced that the iconic Abbey Road Studios was for sale, the British culture ministry stepped in to declare the recording facility a historic site. The building "acts as a modern day monument to the history of recorded sound and music," English Heritage chief executive Simon Thurley said in a statement. With its new designation, changes can still be made to the villa's interior, but "care must be taken to ensure that any alterations with respect to its character and interest are fully considered," the government said.